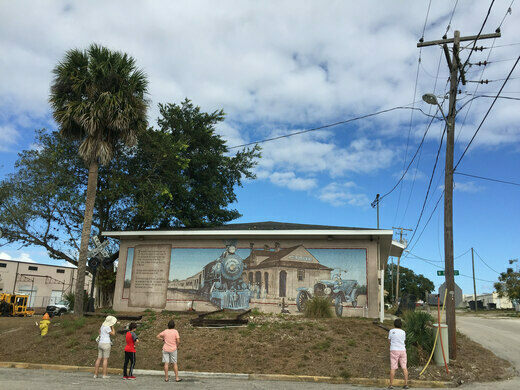 Founded in 1992, the Lake Placid Mural Society had a fairly simple goal: to beautify the town by commissioning massive murals for its public buildings, focused on Floridian industries and activities including inland lake fishing, citrus farming, quilting, cattle driving, turpentine production, and regional flora and fauna. Many of the murals have a thematic garbage bin nearby, so for instance, the clown mural—painted on another Lake Placid attraction, the American Clown Museum and School—has a jack-in-the-box-shaped trashcan. 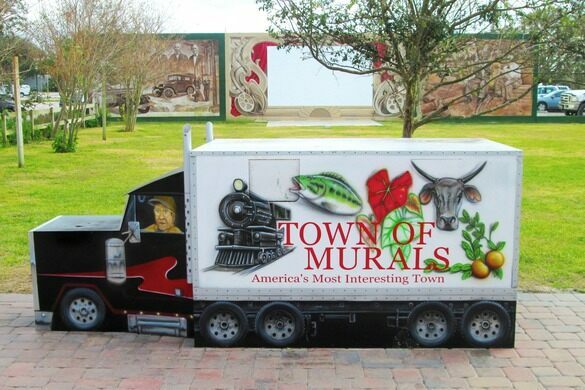 Most of the murals also have some sort of intentional fault in them to try to spot, making a game of what began as one artist’s actual mistake that then became a theme across all of the town’s murals. Reader’s Digest once dubbed Lake Placid “America’s Most Interesting Town,” and while it may not be the most fascinating town in the nation by some standards, it’s a town of pleasant, inoffensive diversions if you’re in the area, and definitely a must-see if you’re touring the so-called Florida Mural Trail, a collection of cities with outdoor murals, mostly across the southern half of the Sunshine State. If you’re into colorful leafy plants in addition to colorful public art, you’re in luck here. Lake Placid has really gone all out on the small-town branding and is also the world’s caladium capital, producing the majority—some estimates say up to 95 percent—of the world’s bulbs to grow the ornamental, elephant-ear-shaped plants. The Lake Placid Mural Gallery, which displays renderings of the murals and screens a short film about the paintings, sells a printed guide with a map of all of the murals. 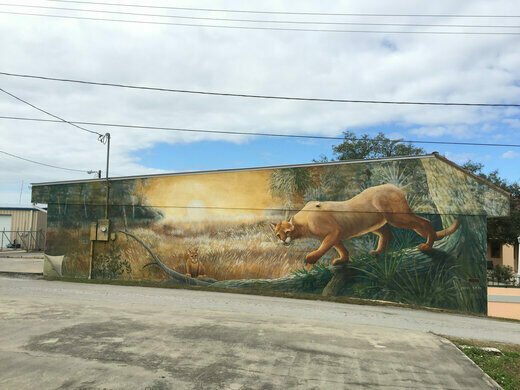 Most of the Lake Placid murals are easily viewed from a vehicle, so in hot weather, there’s no need to even get out. The futuristic test model of an iconoclastic visionary who wanted to redesign the world. Are the Gulf States actually part of the British Commonwealth?